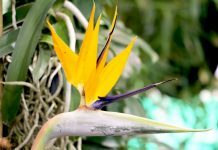 This plant species counts, with more than 550 different species, as one of the most diverse among the bromeliad family (bromeliaceae). 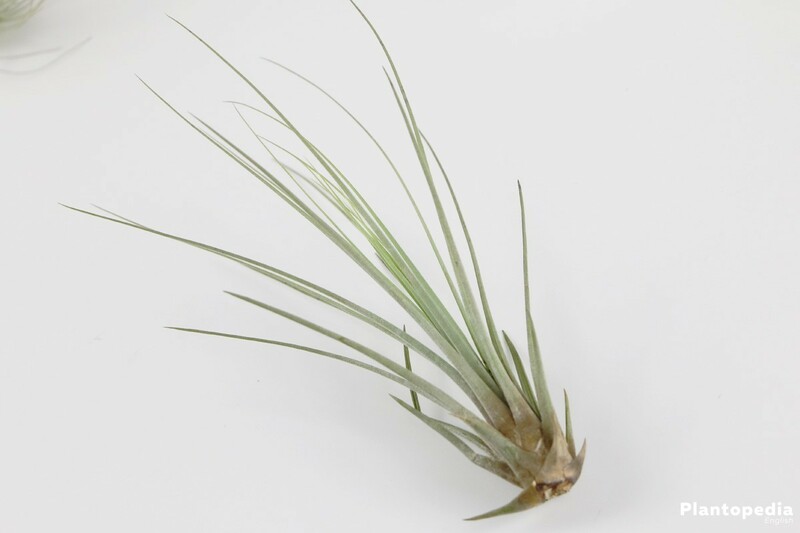 The tillandsia plant is easy to take care of and thus gained in popularity over the years as an indoor pot plant. 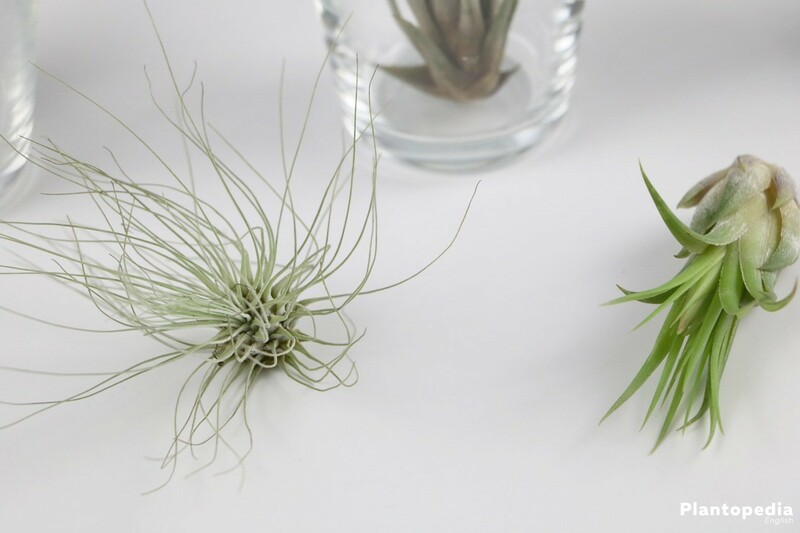 The form and color of the plant, which people also refer to as an “air plant”, amazes many. 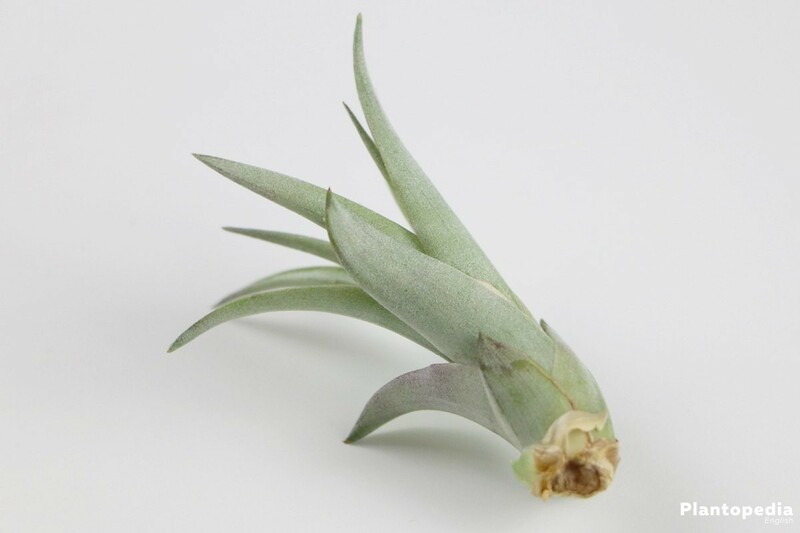 The following care instructions will enumerate the proper steps for it to thrive and flourish. 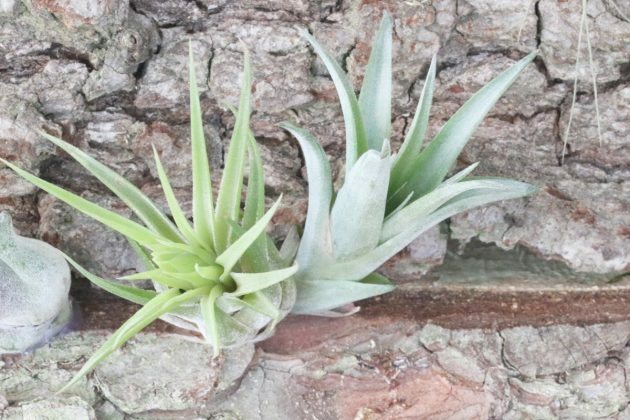 As an epiphyte it can grow in many different locations. 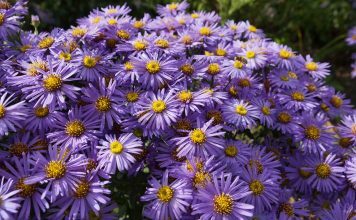 Especially impressive are the colors of the leaves, which shine in a multitude of hues which set it apart from other plants. 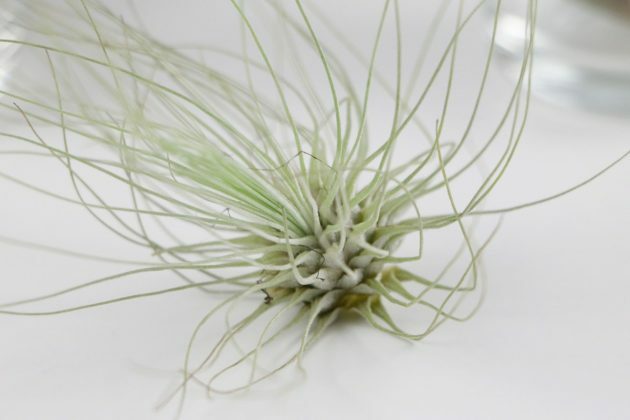 The tillandsia is quite an exotic plant which doesn’t require much taking care of. Its colloquial term “air plant” derives from the fact that it thrives without needing much water and nutrients. With its trichomes it can fully independently filter minerals and absorb moisture from the air. That is how they effortlessly survive without needing much water. 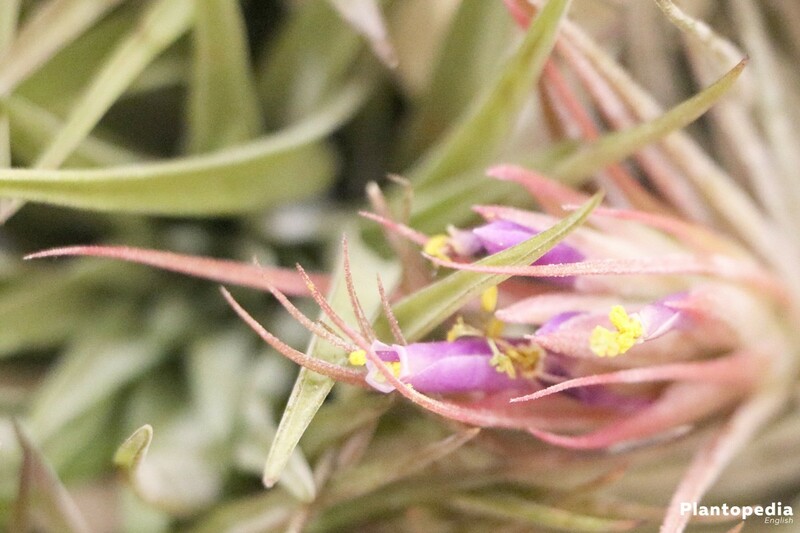 The tillandsia genus was established in the year 1753 by Carl von Linné. 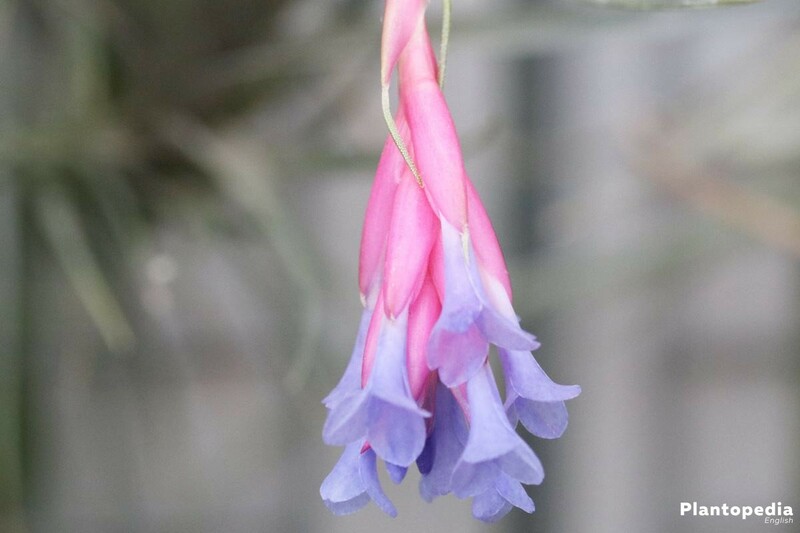 It’s botanical, scientific name, has been chosen by Carl von Linné and honors the finish botanist Elias Tillandz. He chose this name because Tillandz was, due to his own accounts, seasick. Linné thought that the tillandsia can not be exposed to water as well. Today the plants usage is vastly being limited to being an ornamental plant, which convinces with it’s somewhat bizarre appearance. Especially the grey tillandsia is famous for being easy to take care. 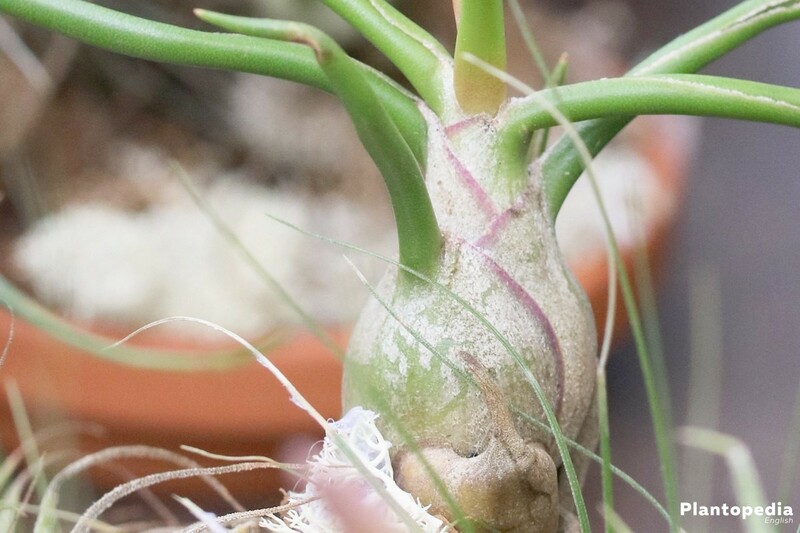 Despite all of that, there are still some guidelines which one should adhere to regarding the well-being and a healthy growth of his tillandsia. Beyond the bizarre appearance of the tillandsia lies an attractive, decorative plant with unice blossoms which doesn’t require much taking care of. 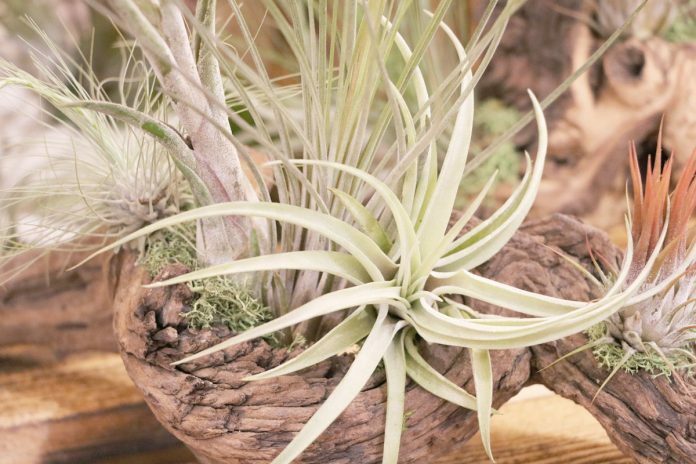 Due to its high adaptability, tillandsias can be kept in the garden just as well as indoors. 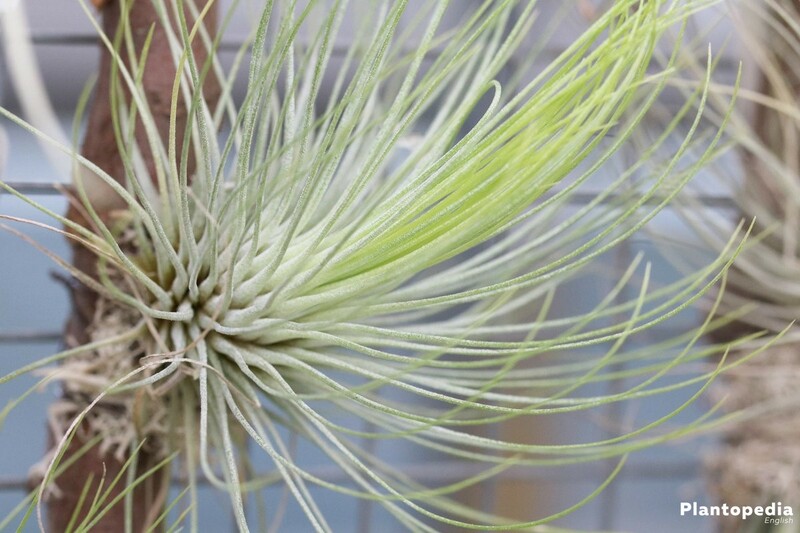 There is no specified location which could be regarded as the best possible environment for the tillandsia to thrive. 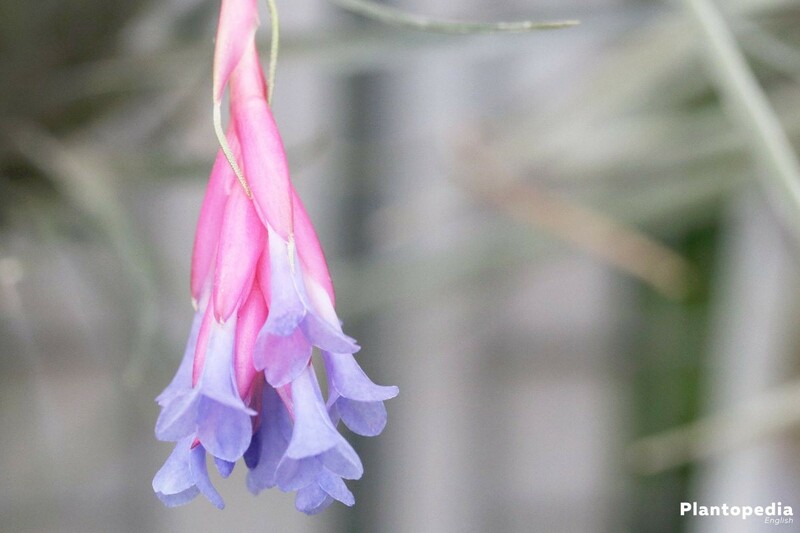 It always depends on the origin of the flower. Outdoors they can be encountered in deserts just as much as in rain forests. Before making a choice on where to place your tillandsia, you should regard the origin of the plant. 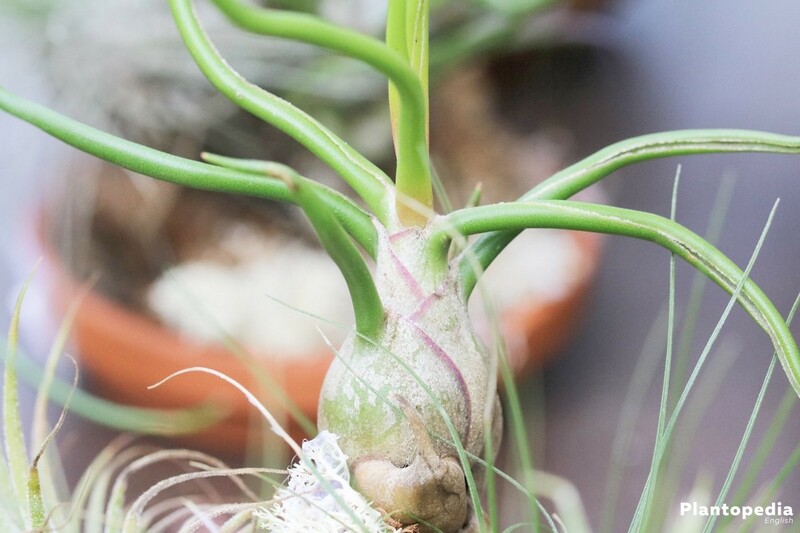 In general a tillandsia requires a sufficient exposure to light, moderately warm temperatures and a moderately humid environment. 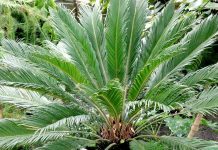 The plant should be placed in an environment where it gets enough exposure to light, however is not exposed to the sunlight all day. 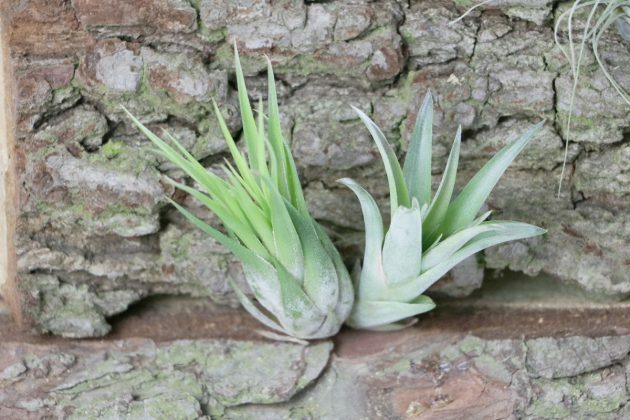 Most tillandsias are not rooting, which is why there are many different suitable substrates for cultivating the plant. Outdoors the plant thrives on trees, walls, rocks, cacti and various ground floors. Using substrates that could be rotting after a while should be avoided. 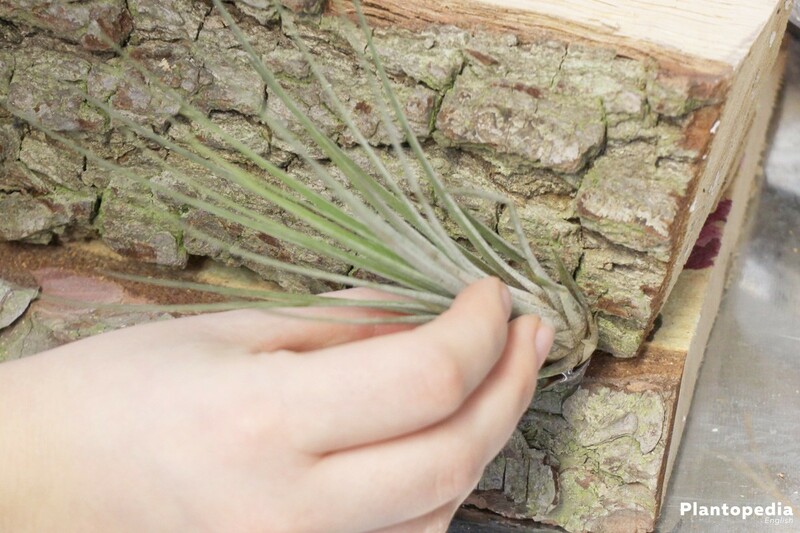 Due to the plant requiring watering once in a while, it promotes the rotting of wood et cetera. 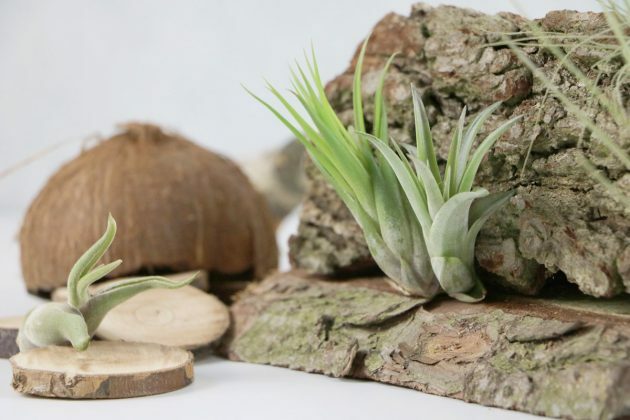 The plants are especially decorative on wooden undergrounds. They also thrive on roofs, rocks and walls. Perfect are cork oak, vines and old roots due to them not rotting easily. 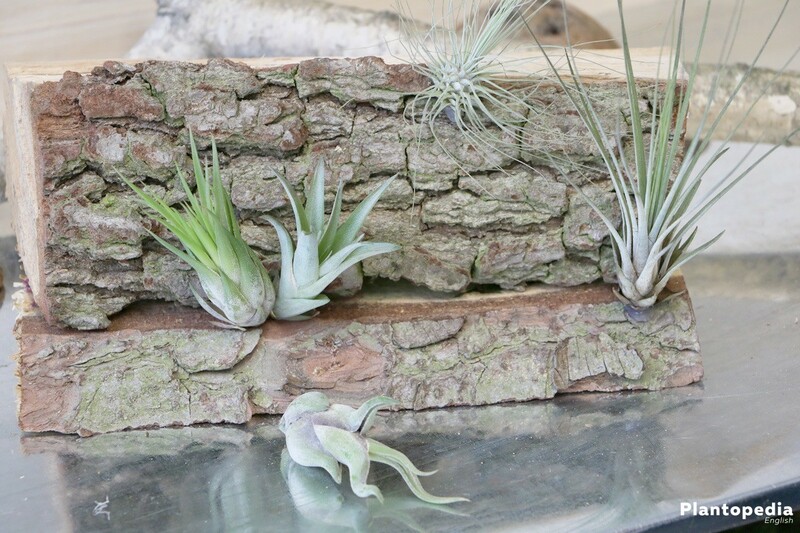 When tillandsias grow wild, they not only thrive embedded in soil, but also on logs, roots and stones, whereby their tiny roots usually just hang in the air or seem to hold on to the ground. You can easily use conventional potting soil if you want to use soil as a substrate or plant it in a pot. As a suitable alternative it is recommended to use clay-granulate, cactus-soil or pine bark. 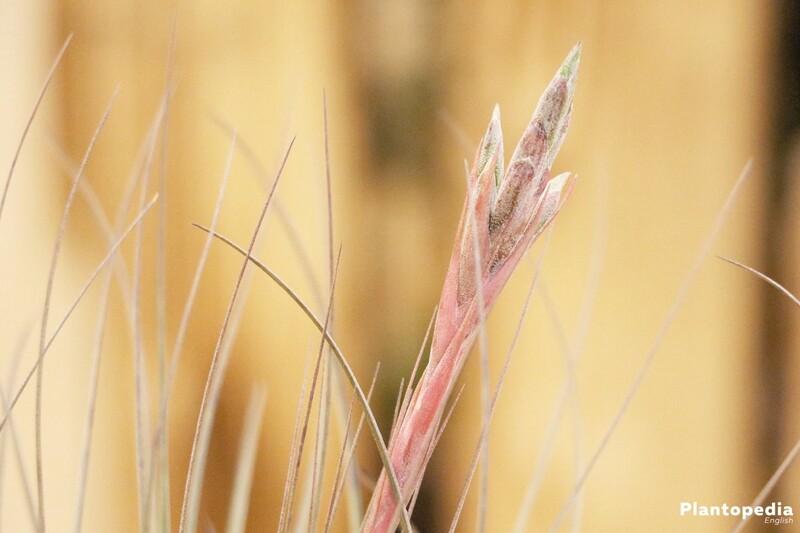 Due to the high adaptability of the tillandsia plant it tolerates mixed soil. The exotic tillandsia should be planted outdoors from late spring to summer. 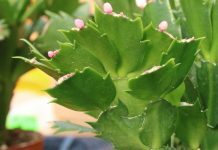 The plant does not thrive in temperatures lower than 15 degrees. It can be planted indoors throughout the year as long as a room temperature of 20 degrees is being consistently kept. If you plant to keep it indoors it is important to place it in a warm spot with enough exposure to the sun. 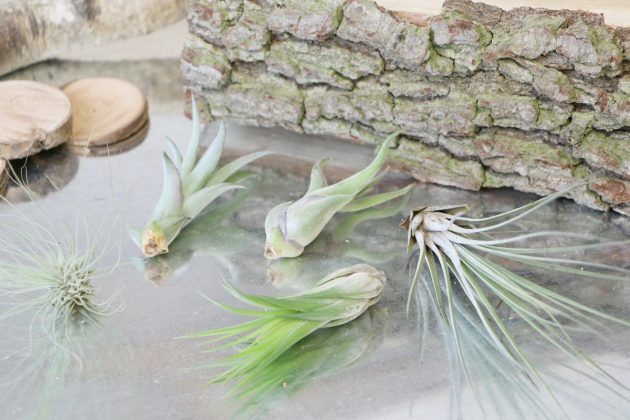 If you want to plant the tillandsia outdoors, finding the ideal location is paramount. Pay attention to the substrate used, whereas potting soil suffices. 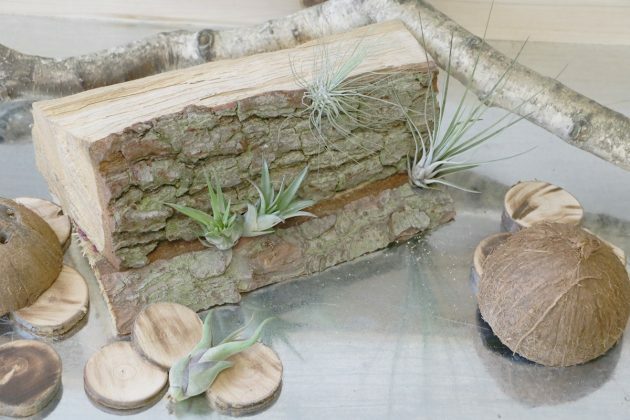 Of course it’s possible to add bark and rocks to the pot to complement the decorative flower. 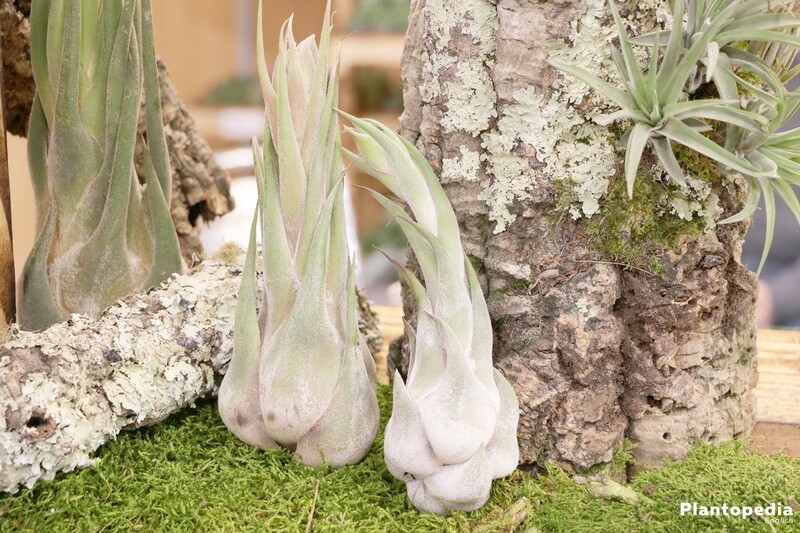 It’s up to you where to place the tillandsia. A soft surface is as suitable as using wood, bark or stones. 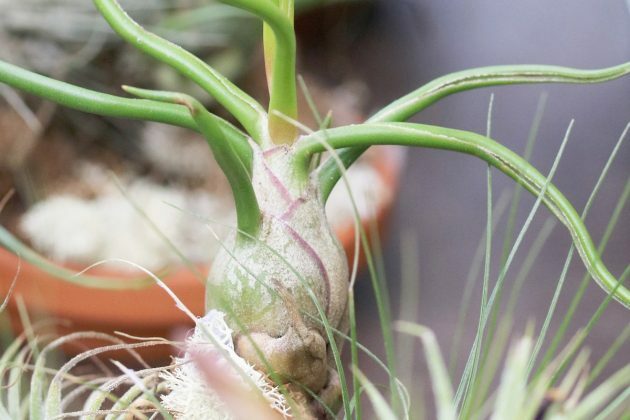 The best possible solution is to bind or glue the plant in a pot. Several adhesives include pollutants, so that binding the plant should be preferred. Everything you will need are scissors and ladies-tights. 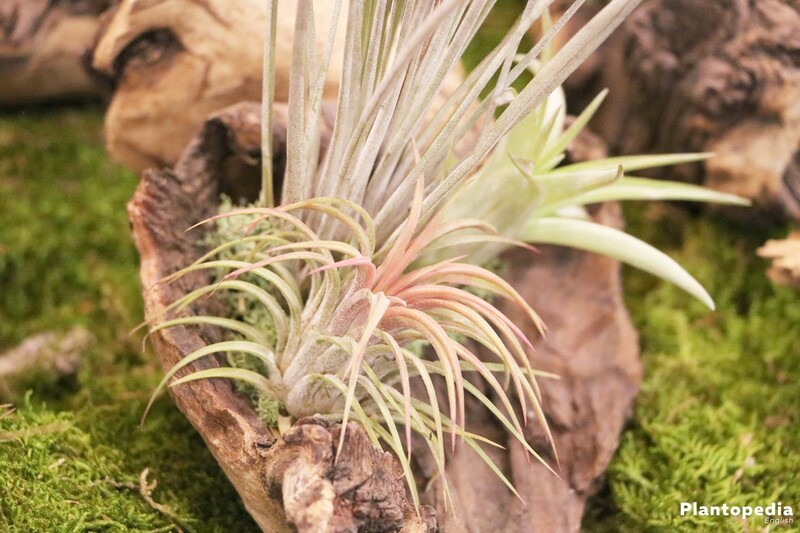 Tillandsias do have to regularly be watered because they absorb the required amount of water out of the air. 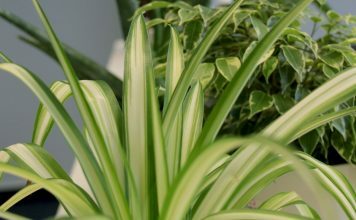 In order to sustainably thrive it is important to ensure a humid environment. During low humidity, e.g. 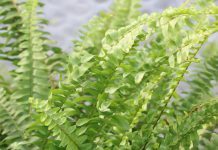 during winter, you should additionally spray tepid water on the plant. Avoid watering the plant and only use soft, filtrated water which should be free from limestone. Spray several times a week. 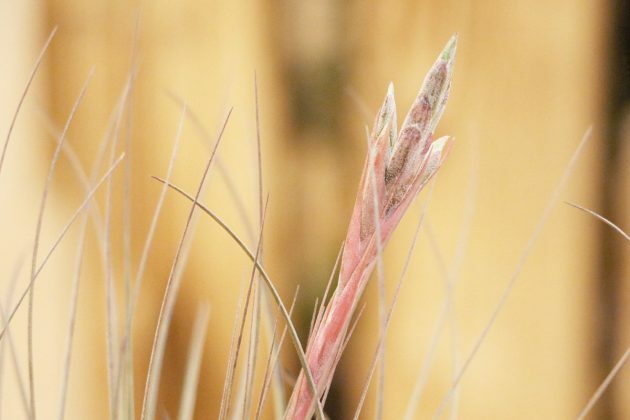 If the tillandsia is being kept outdoors, no added fertilizing is required. It absorbs all of the nutrients it requires from the air. 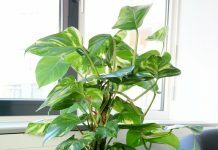 If however the plant is being kept indoors, you should additionally fertilize it. Only by fertilizing it regularly it can be insured that the plant stays healthy and develops beautiful blossoms. You should only use liquid fertilizer from a specialist retail store. If available, you should purchase fertilizer which is specifically intended for use on tillandsias. 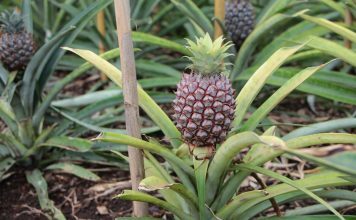 During the vegetation period you should fertilize the plant twice. Outside of it it is recommended to fertilize it once. 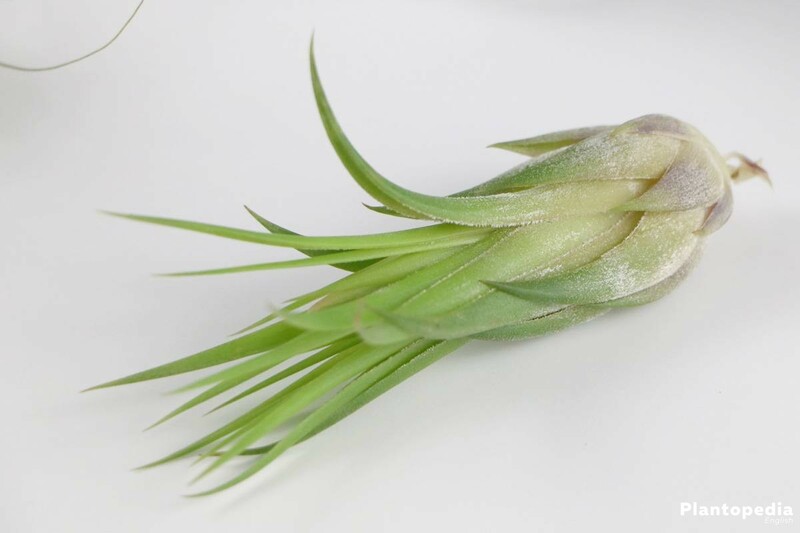 Due to its naturally attractive form it is not necessary to cut the tillandsia to a certain shape. 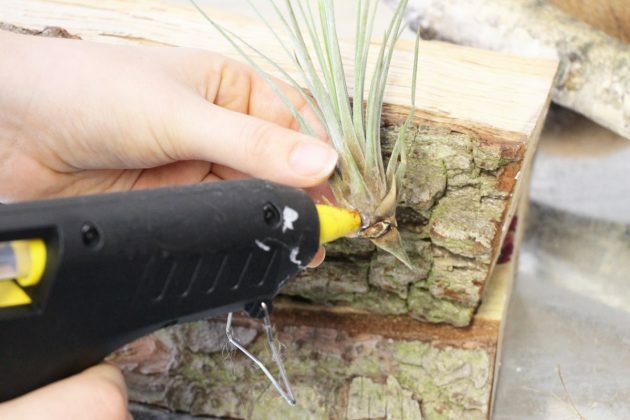 You should exclusively cut dry and dead leafs or parts of the flower. 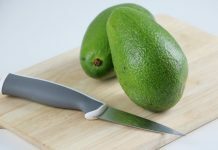 Use a sharp, sterilized knife and push the leafs aside while cutting in order to avoid damaging the plant. Do not bend or rip out any pieces of the plant by hand. It’s possible to rip out dead leafs by hand which can not be properly removed with a knife. 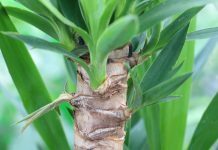 In that case you should make sure that you have a tight grip of the plant so that damaging other parts of the plant is avoided. If tillandsias are being kept indoors or in a greenhouse there is no special preparation required for winter storage. 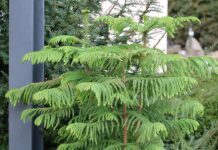 It’s only if the plant is being kept outdoors that you should prepare winter storage early enough or spray antifreeze on it. It is important to place the plant somewhere protected from wind and extreme weather conditions. White species are able to survive the weather in winter because they’re used to extreme weather conditions and growing up in high-altitudes. All of the other species should be covered with a warm fleece during the winter. The location of the flower should moreover be rust-free, humid, and bright. 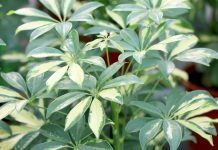 Relocate the plant before first frost occurs and spray it regularly with tepid warm water. 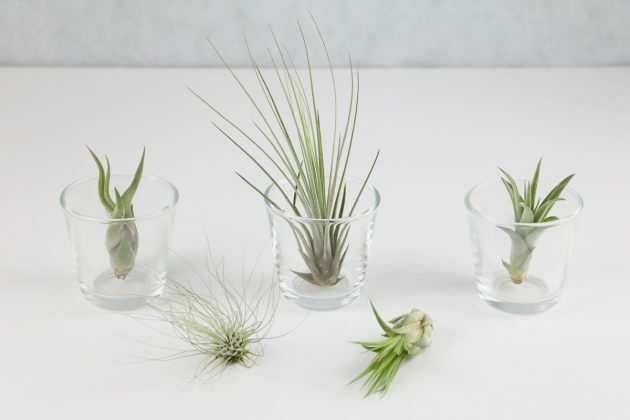 Tillandsias can be multiplied through daughter-plants. If the plant grows in suitable conditions, daughter-flowers will naturally develop after a while. 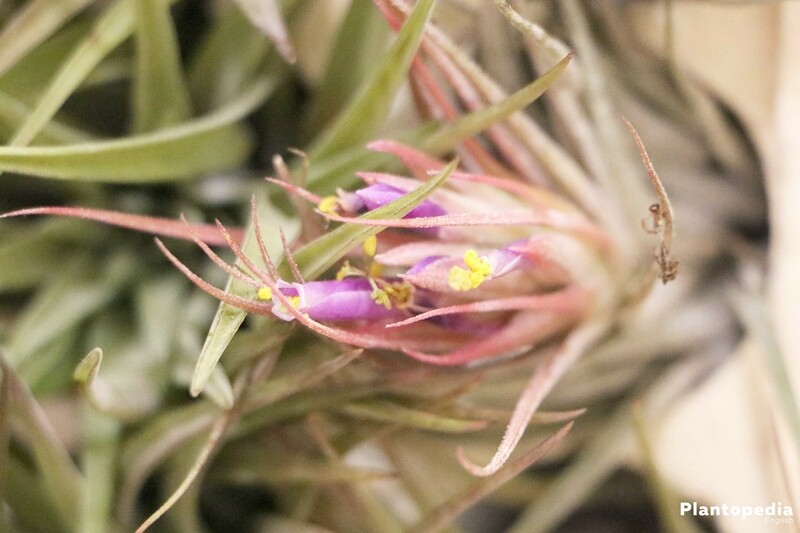 Another possibility for multiplication of the tillandsia is pollination. If there are no more seedlings sprouting from the main plant, you can carefully remove it and place it at an external location. Pay attention that the environment is the same as it is with the mother plant. In order for pollination to occur you will require another plant of the same species. Pollination is only possible if the plant has already blossomed, which could take several years to happen. It requires plenty of patience and prudence to multiply tillandsias with seeds. The plant can not fertilize itself, so you have to do it by hand. 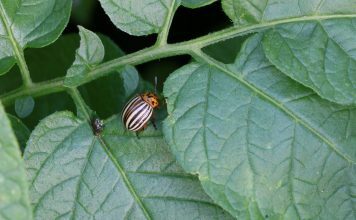 People with no experience might be pushed to their boundaries as the process of successful pollination requires time and knowledge and can be complicated and lengthy. 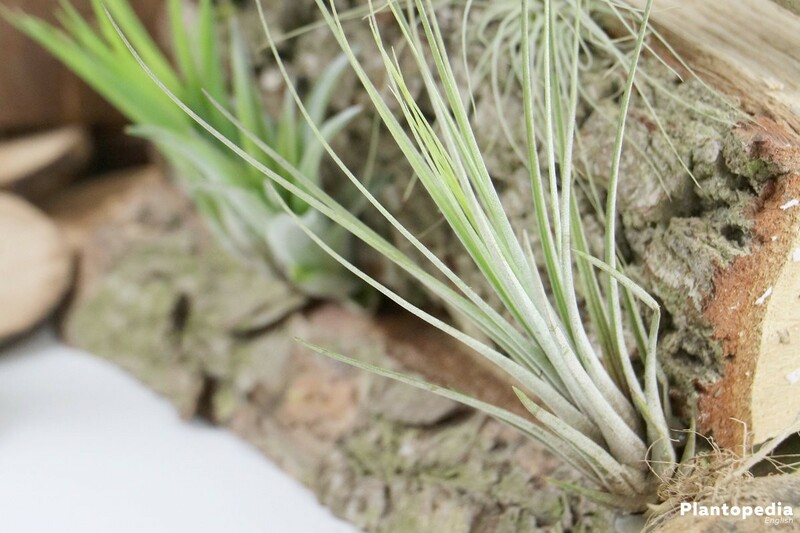 Tillandsias are generally very robust and not susceptible to diseases and other derogatory influences. It suffers more frequently from an inadequate transport or storage than it does from diseases. 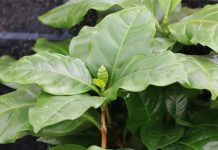 If they develop withered, discolored leafs, it could have something to do with the environment the plant is being kept in, not parasite infection. However, even if the plant is being kept in perfect conditions it can happen that the plant dies. If a plant is affected, it is usually because of poor transportation and not because you did anything wrong. 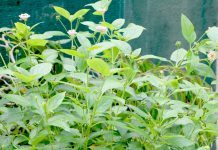 Avoid obtaining sick plants by purchasing only from gardeners. Cheaper flowers from the supermarket are usually imported and already damaged. To keep your plants healthy in the long run it’s important that they’re never exposed to temperatures below 12 degrees. 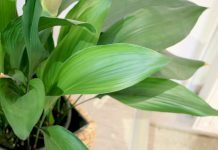 In addition, the plant should be fertilized and watered regularly if being kept indoors. 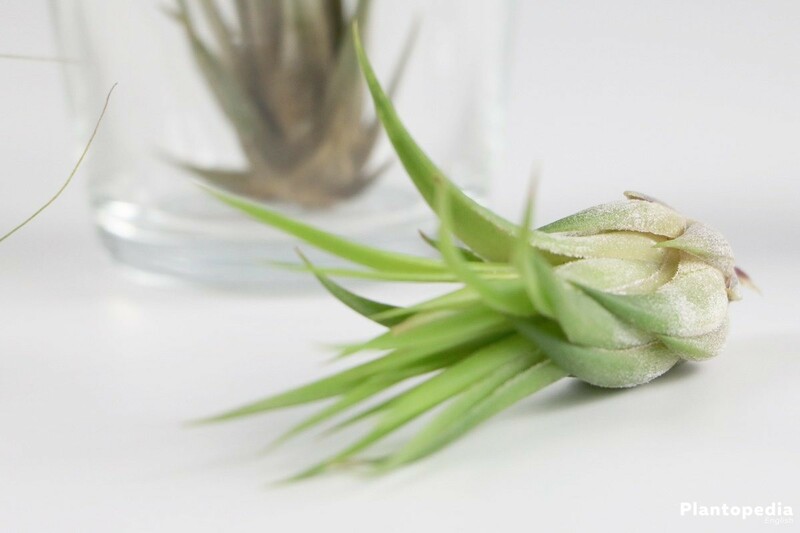 Tillandsias are only susceptible to fungi and parasites if they are either not being properly taken care of or they were already sick at the time of the purchase. If the integrity of the plant is weakened, it is fully susceptible to all kinds of diseases. A prime indicator that the plant is being affected by a parasite or disease is an abnormal surface. It could also lead to a moldy smell and holes. 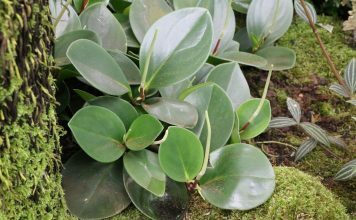 A good remedy in this case is a plant protection product which can be obtained in a specialist retail store.